Arunachal Pradesh is the eastern most state in India with Itanagar as its capital. For the students who want to go for higher studies, the colleges in Arunachal Pradesh would be of great choice as they provide a perfect base for the students. The colleges in Arunachal Pradesh offers courses such as undergraduate, post graduate and P.hD programs in Science, Commerce, English, Economics and other subjects. The engineering field is given much attention by the Arunachal Pradesh colleges, because of which the students from other country such as US, Sri Lanka, Thailand and so on prefer Arunachal Pradesh colleges as the place to study .The one of the famous colleges in Arunachal Pradesh is Mizoram Engineering College which provide a set of engineering courses such as Electronics and communications Engineering, Civil Engineering, Mechanical Engineering and so on. The colleges in Arunachal Pradesh also provide accommodation facility for the students who are from different countries. Gradually the educational scenario of Arunachal Pradesh is improving this is only because of the plan and project which has been initiated by the state and central government. You know the students who cannot afford to go for higher studies colleges in Arunachal Pradesh provides vocational courses such as Costume Design and Garment Technology, herbal Remedies and Cosmetology. The only because of the well-versed and dedicated staff some of the graduates are competing not only India but also broad. 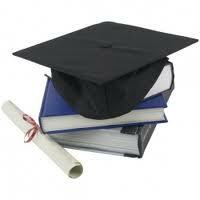 "Following is the list of colleges in Arunachal Pradesh. All Colleges in Arunachal Pradesh are divided into region wise. To view colleges in a particular region kindly select the region from the drop down list. The number of colleges in any particular region is mentioned in front of the link. If you come across any college in Arunachal Pradesh which is not found from our list below, please do let us know by using add in list which is default in our website�.